Basalt rocks that were carved by glaciers as sharp as a ginsu knife stand witness to your every move here in Patagonia. Carola then got in the action next and like always, she looks better than me at it. That’s a fly fisher that’s nice on the eyes as they would say. Just out there is where the adventure first started.. This is a place in Argentina as old as the hills, really hasn’t changed that much since those three road through here around 1902. 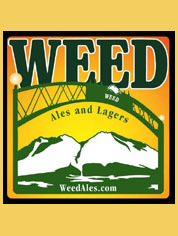 Absolutely gorgeous and a must visit place, they offered us a great homemade beer in a glass and told us if we wanted we could just take it to go, but bring back the glass on your drive back. We laughed and drank it there and preceded to mosey down the trail after we ate our lunch, partners. What a beauty, they had a old National Cash Register from about 1920’s there on display, the girl said it still worked fine. Cheers folks, we like San Martin de los Andes, as you can drink a beer out walking around town legally. The food is so incredible here in Argentina, matched with awesome wines, you can’t go wrong if you bring Gringo dollars. A wonderful lunch is always a high priority for us when entertaining our valued clientele here in Argentina. Down at the beaches on a local lake, it reminds me of our own Lake Tahoe in California. A very dry Mediterranean climate with cold winters and snow. Where as the Lake’s District of Chile is a lot of rains, damp and fog and little or no snow. So Carola and I celebrated our 5 year anniversary and took a trip to our favorite places to cuddle and fish, eat well and talk about life together. 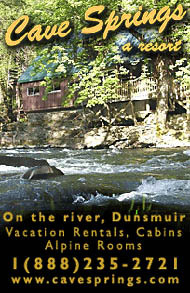 This was where we had gone for our honeymoon in addition to Ecuador and Brazil for about a month in 2010. So I had Bob Lowe & Scott Kellermann of Nevada City, California, who showed up at the bus terminal in Valdivia, Chile as Bob’s daughter was studying in Chillan and it would be most easiest to meet them there and the buses in Chile are new, don’t smell and are easy traveling compared to the United States. They even have buses with “Full Cama” (beds) that fold completely in half and Carola and I like traveling this way sometimes to save money. We met them at the terminal and rode the like wind across the border into Argentina first, in our very comfortable Toyota 4 runner Limited with sun roof and leather seats. Chilean Pine In San Martin de los Andes, Argentina. Also Called A Monkey Puzzle Tree But In Chile & Argentina It Is Called An Araucaria. Right Out Of Jurassic Park If You Ask Me. Robert Lowe Photography Photo – The lamb Asados Here in Argentina are in incredible, the wood they use gives it a unique flavor and then you add their Chimichurri sauces for a flavor that is out of this world. Great wines here in Argentina, especially the Malbecs from Mendoza. Our rooms at our lodge is very nice indeed and quite comfortable and we have tours to entertain non anglers as well. 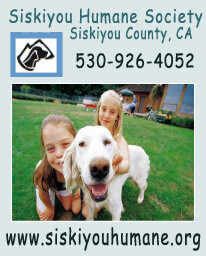 Indoor pool, spa, jacuzzi are just added benefits nightly. Breakfast in the morning is a help yourself, but you can still get an omelette with ham and cheese made. Great wines are apart of our package as well as a lodge that bodes great art and the true feel of a 5 star fly fishing resort experience. A very elite establishment, yet our prices are as reasonable as any lodge package anywhere in the area, so when you take into account that you’ll be fishing two countries, 3 regions and as many as 8 rivers, The Jack Trout Fly Fishing International Chile & Argentina package is the way to go. 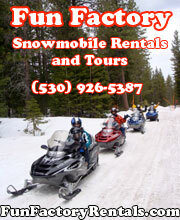 Check us out on Tripadvisor. 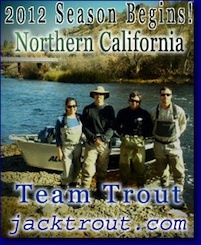 Jack Trout Fly Fishing Tripadvisor. Bob and Scott sure enjoyed their stayed here! You can even get a nightly massage if you’d like. There’s a full service bar in the evenings when you get back from fishing and remains a pretty quiet place unless my clients start laughing hard from a fun day of landing trout. The rivers are low in Argentina but the fishing is better than the rivers I fish in the Rivers District of Chile right now, so my call was spot on. Plus there were fires in Chile, so the region was very smokey, but as soon as we headed over the Andes into Argentina the smoke was gone. Guides are like baseball managers, when we make the right call, we are like genuses, I just don’t want to be traded to another team if you get what I mean..
A minute later a trout was jumping, a hooping and hollering followed by the sounds of happy people were evident, as well as another yippee as Bob up above had a trout on his line too. The bite was on people and it doesn’t get much better than this. It reminded me of that Wrigley’s Double Mint Commercial. They were the double mint twins that day! I had gone and walked down below them and I got spooked by the subtle sounds right next to me and it scared me because I’m not use to any noise out in this area and I looked over and there were three beautiful turkeys just minding their own business, not worrying at all about me, so I got this shot off. I walked up the grassy banks and was throwing a hopper along its edges when a large trout just barely sipped my offering and the trout sailed into the air 3 feet! Then up the bank like a tomahawk missile and across to the other side and on down next to me like he was mistreated as a child. I stood there in utter joy as I fought the trout and yet honored his presence as he sacrificed himself for me, I filmed the episode with one hand and fought him with the other. He was a mighty warrior that day and I appreciate his take on a Dave’s Hopper as I found this and released him back to his tribe. The man behind the mask is always on top of your fly fishing international dream adventure vacations, put your trust in Carola and I behind the scenes. We will never let you down, in our 22nd year of outfitting. Early Man Inhabited The Malleo River In Argentina, They Were Called Mapuche. Norte Chico Region Of North-Central Coastal Peru, Has Been Established As The Oldest Known Civilization In The Americas, South America Is Where The Oldest Man Is Argued To Have Come From, while other scholars say it was Africa. From the rock shelter cave, I had this view of the Valley and its river that runs through it. Robert Lowe Photography Photo – This sign really shows that Argentina is a country with respect of others and its countries, kind of hilarious. Out with Bob & Scott with my guide Esteban and his fiance Erica for a fabulous dinner in San Martin. This place was incredible, with the prosciutto being cut right near our table, I had never seen this done before. You could tell the owner was so proud. Robert Lowe Photography Photo – This was a lifetime dining highlight, that night will be remember for the entire length of my life. We ordered 3 appetisers, 2 bottles of wine and we all had extraordinary dinners, the price was under $25 per person with the tip included. This was the wine picked out by my guide and it was an excellent choice indeed, thanks to Esteban and Erica for having us come to this place. The baby lobster appetiser was one of the best in my life with this scrumptious pepper oil sauce. Carola and the group sure enjoyed it also. This was my lamb in a mint sauce, maybe the best of my life. Many big trout are caught all over this region of Argentina, as we know where they are. A trophy is waiting for you on our trips from Argentina over to Chile. 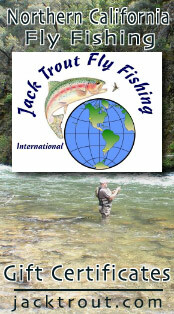 Many happy clients this season as their dreams have come true with Jack Trout Fly Fishing International. Scott Kellermann sure was happy with his trips we arranged for he and Bob Lowe. Doubles make for great memories folks. 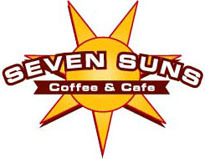 Seven days of heaven. Jack and Carola met us at the bus terminal in Valdivia, Chile and loaded us in their Toyota Forerunner for a trip across the Andes to Argentina. Jack arranged an excellent Argentina guide for us. Superb results fishing on the Melleo, Alumine River. Wading on the Chimehuin R. in two 50 meter riffles we extracted over 50 fish in a few hours. Returning to Chile we waded the Petrohue, landing three 10+ lb. rainbows, the scream of the reel,the bend of the rod and racing across boulders with Jack shouting encouragement are firmly etched in my mind. The fishing was incredible but Jack and Carola’s hospitality made for a complete experience, they are true friends now. Fine friends, superb fishing and a great adventure, what more can one ask for?? 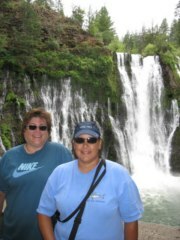 Last Year Clyde & Davida Robinson, loved their adventures with us on the same trip. I have flyfished Chile 12 out of the last 13 years, always in Feb or March to miss the biting black flies and school kid crowds. In that time I have had probably 40 different guides in all kinds of boats. This was the first year I wanted to fish both in Chile and in Argentina. I had fished with Jack and Carola one time previous, but just in the Los Lagos area of Chile, headquartered in Pucon, a lovely town. Trout put together a ten day adventure, 5 days each country and made all local arrangements, found places to safely keep his boat at night, provided equipment and instruction for my wife. He and Carola created a fabulous, memorable trip. Lunches on the rivers were spectacular. Their patience and kindness with a learning fly fisherwoman much appreciated. Important to note here, the Argentine web site which one must navigate from home before your trip is not at all clear even to someone who has to speak spanish every day (we live in Tucson). It would have been VERY EASY to have goofed up the Argentinian Reciprocity Fee section of their website and to have been turned away at the border. Carola and Jack took care of all that for us. Carola knows everyone at the border and is friendly with the folks you must interact with who speak a dialect. On crowded days you would have to wait in line outside in the cold, rain, and wind, but not if you are with Jack and Carola. There is no cable, no internet, just a wooden building with a fireplace and you could literally spend a half day there if you were behind a tour bus crossing, with only two guards working. The Argentinians just don’t care. Trout cares. The hotel they arranged in San Martin de los Andes was immaculate, friendly, and we made abundant use of the indoor pool, spa, steam, sauna, and internet. The Argentinian guides and drivers Trout arranged were punctual, skilled, and bilingual. Highest praise for them and to the Trouts for all they did for us. We will be back! Argentina is waiting for you, give us a call to arrange your fly fishing holiday travel and customized itineraries for 2016. In another river, I caught 5 trout on hoppers in a half hour then we had to go back to Chile. What a hoot Argentina fly fishing is great folks. A mighty fine trout on my way back over the hill into Chile. One night I did a BBQ Asado for Bob & Scott at our place and they loved it. The next day on another river, I found this huge Pancora fresh water crab. Caught this trout on a Ed Cutter Caddis on the surface and about 25 others in 5 hours of fishing. Then the Villarrica Volcano in Pucon erupted, so fished a little more to wait it out. This volcano hadn’t erupted like this since 1984 in Pucon, Chile. All I could think of saying to that volcano was, “You shine you crazy diamond”! When we passed by it just a few weeks before, it looked like this, but now just a towering inferno. 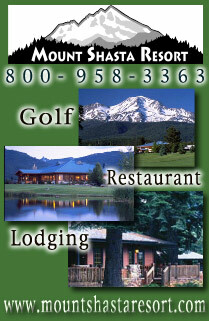 I had climbed that volcano once back in 2003 with my dear friends from Mt Shasta, Matt and Uschi Hill. Lanin Volcano and a gorgeous site with an Araucaria tree in the forefront. We had taped that volcano venting gasses as it is only about 30 miels away from Villarrica. Then when we passed by afterwards, you could see a real difference, especially with the snow and glaciers that had disappeared. Now just a quiet volcano awaiting its day again for rage and torrent, this time though it plugged itself up and that means the next time could really be a volcanic event for the ages. When I was up there before you could run up to the rim and look down into the “Devils Throat” and see molten lava, but now they say that’s all plugged up…. Meanwhile, in Pucon, Chile the City Hall had their red alert light on, something I had never seen before in over 20 years of living in this area. News stations everywhere Carola recognized a anchor news reporter who was like the David Muir of ABC in Chile. So we had to take a picture with him just for fun. Back in Chile to finish Bob and Scott’s trip, we started hooking lunkers left and right in the Lakes District and by then all the fires and the smoke had cleared. Bob hooked his biggest trout ever on a fly rod. 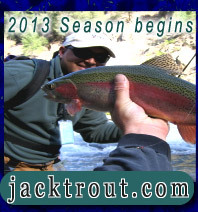 We were so happy about this and the day was incredible as we hooked into many trout over 8 lbs that day in Chile. Scott hooked and landed his big fish and we celebrated with high fives across the board as their trip in Argentina & Chile was a total success. We dodge fires, smoke, volcano eruptions and the term I coined which I call the “Chile Factor”. We went out to dinner to celebrate the day and incoming of new clients and their adventures, it was a wonderful celebration I soon won’t forget. When we looked up “fly fishing pocket water” in the dictionary, they listed this picture.. lol 🙂 A lot of trout caves here people. I shot this picture just holding my camera under the water, do you see any trout? Amazing this place! Kim Hamilton has been following my facebook page and commenting every so often to save him a trout! So we did. On this day he caught his biggest two trout ever as there’s not many trout in Darwin, Australia. He was loving it folks as he caught as many as 20 + trout that day of all different sizes. Have just had 3 days fishing in the Peurto Varas area with Jack and another of his guides Matteos they both worked very hard to put us onto fish in very difficult circumstances. On the first day it rained very hard but we still enjoyed the experience and caught trout with Matteos who looked after us very well. The second and third day I fished with Jack wading and drift fishing in low water conditions still caught lots of fish including my best rainbow trout ever. 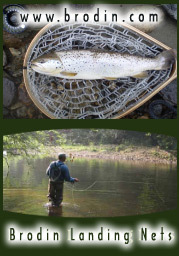 Both guides are very encouraging to a beginner like me on trout and great company to be with. 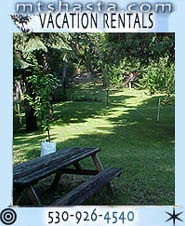 Can recommend them in Chile and a beautiful area to visit. A wonderful experience for Kim, as he mentioned to me out in the boat that day. So we went out and celebrated with an awesome seafood spread. This is called Paila Marina Pil Pil, filled with abalone, scallops, shrimp, crab legs, king crab, razor clams and a few things that don’t exist in the Northern Hemisphere that taste pretty great. 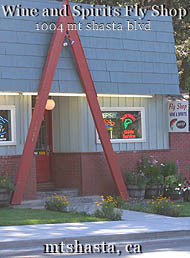 When you come down, I’ll take you to this place. Then off the cruise ship a past client showed up by the name of Rocky Suess and began hooking huge trout at every place I took him. He was bummed when the weather in Punta Arenas was too windy and bad for anyone to leave the cruise ship so he lost his trip there. But with me, things that day were golden and we had a great time with he and his wife. I have fished with Jack back in California and it was a hoot meeting up with him for a day in Chile. As always, Jack worked hard to maximize our experience, despite having to deal with a cruise ship schedule. He put my wife and I into many fish while not forgetting to give us a picture of the area along the way. 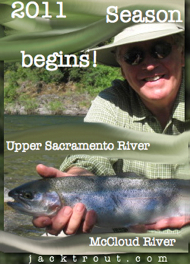 Magnificent fishing, magnificent river, magnificent food. Thanks for a great day Jack. Here in Chile the skies are silver, blue and gold and life is fresh and clean, the way it should be and I they got me here hook, line and sinker. I’m goofy for this place as I met my wife here and it’s all manifest destiny. The Sky Pilot had it all pre-planned that I would guide you here some day or at least tell you about it. Most 10 night packages are $4000 per person for two countries, 3 regions of Chile and Argentina, 8 rivers, 4 to 5 star lodging, best restaurants, towns and rivers in the Lakes & Rivers District Chile and Patagonia Argentina. 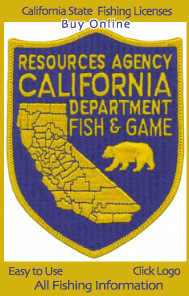 I think it’s the best deal going in the fly fishing industry. Come with us to Belize from May 1st to May 22nd, 2015 we’ll be down there guiding and hosting group trips!